There's been a dramatic rise in the number of people posting pictures of their left hand on Facebook, which means there's either some new asinine viral awareness campaign taking the Internet by storm or IT'S OFFICIALLY ENGAGEMENT SEASON! Some people might be excited for Christmas but for me, watching women come up with unique and original ways to incorporate their ring into every picture they take really makes this the most wonderful time of the year. Of course, that's not the only reason this season brings me so much joy -- there's also the passive-aggressive status updates from girls who thought they were going to get engaged two engagement seasons ago. You can almost hear the sound of their spirit being crushed every time they type "OMG CONGRATS" underneath a picture of a ring. Considering I've spent the past couple of sentences on people who will have to reevaluate everything if they haven't been at the receiving end of a proposal by New Years, I'd like to put together something they can use to cheer themselves up when their boyfriend fails to take a hint... again. 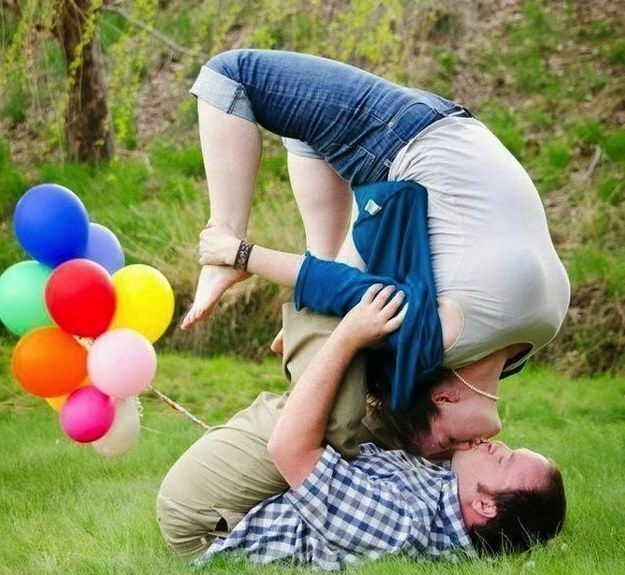 Just think: The longer you wait to get engaged, the more time you have to plan the ensuing photos to make sure you don't end up doing anything like this. It's kind of depressing that I'll probably never get an answer to the million questions I have about this picture. I don't know if I want to know the answers to the questions I have about this one. 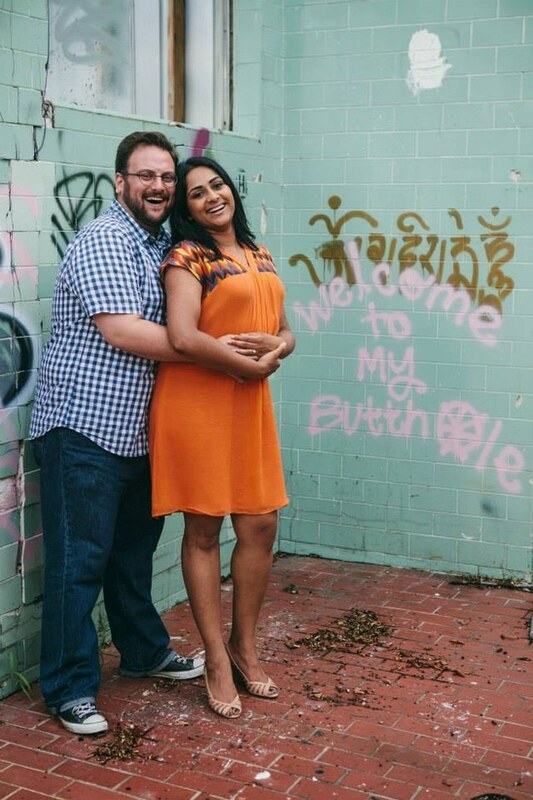 No one's more excited for this couple than their dog. 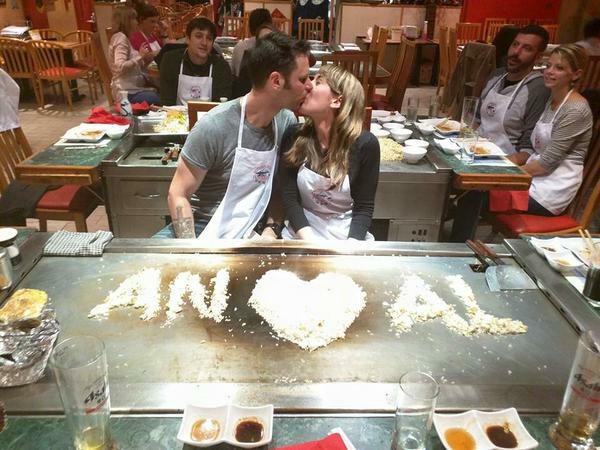 Well, at least one regret. Definitely more than one regret. This was definitely the lesser of two evils considering "Alan" was their only alternative. 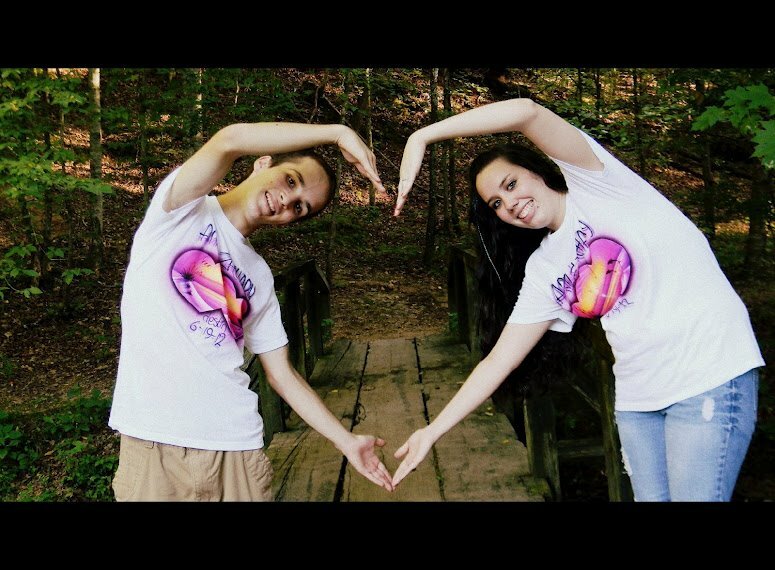 This is what every engagement photo wishes it could be. This comes in close second. 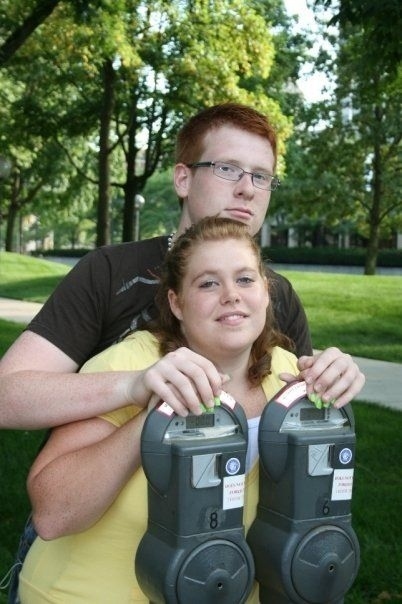 "I promise to fill your meter whenever you want, babe." This makes me so uncomfortable that I can't even come up with a stupid comment. Personally, I would have gone with a Pikachu theme if I was forced to pick something I'd regret later.